prateek, 10 Sep 2008must say..its a very detailed review..ggod job. i have this phone n i am much more than just ... moreevrything said bout the phone is true but few keys in my mob don work often.but after some time it starts workin by itself.it has been only 2 months since i got this.i'm sure i was handling it carefully.any specific reason 4 such kind of probs??????? J210 user, 18 Sep 2008Hey guys, I tried playing video on the phone, from my files folder and then from memory stick... morepress the # key while the video is playing. it also rotates the screen. Does this phone has sound recorder (normal sound recorder) and in-call recorder(ie record while talking) if yes then please tell about the clarity and volume of the recorded sound and the format which it is saved, as I want a phone (any make) with very good sound recording facility Thanks in advance. Please reply. Hi. Just got this lovely phone a few days back. It's a cute candy bar just like Nokia 6030. I have been using it and believe me for Rs. 5000 it's a steal and it's features took my breath away. Sound has excellent clarity - both for FM and MP3. Execellent ringer volume. The 2MP camera is fantastic. Photos are sharp and there is excellent clarity. Believe me you can actually zoom your subject and take photos like u do in digital camera!! What more can u ask for? Once you navigate a bit and get used to the keys, you'll love the various features provided in it. It also has mobile tracker in it. So guys and gurlz, stop cribbing or complaining about Samsung J210. It's a wonderful phone and go buy it!! I simply love it. Thank you Samsung team for coming out with such a wonderful phone....EASY on Packet and LOADED with FEATURES!! 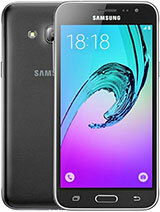 How is the overall performance of samsung j210? how is battery charge? Krishna, 05 Oct 2008Hello Friends...I am planning to Buy this Phone...I have done some internet research and found... morewith the battery lasting not even a day there's no use in having all the features in it as using them will further bring the down the battery..
samir, 24 Sep 2008I am in problem -sometimes when i switch off my J210-it takes time (1 or 2 or more minutes) to... moreMay be your memory is full! I am in problem -sometimes when i switch off my J210-it takes time (1 or 2 or more minutes) to switch on -please help !